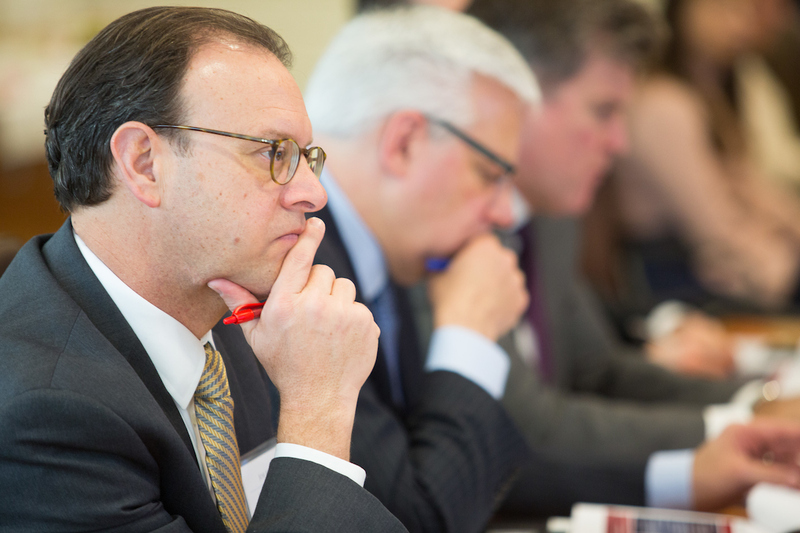 Each year, future finance industry leaders compete against one another to win intellectual recognition, networking opportunities and scholarship money. The 2018 YOUniversity Deal Challenge culminated on February 1, 2018, bringing together Auburn University, Brigham Young Univerisity and The University of Illinois. 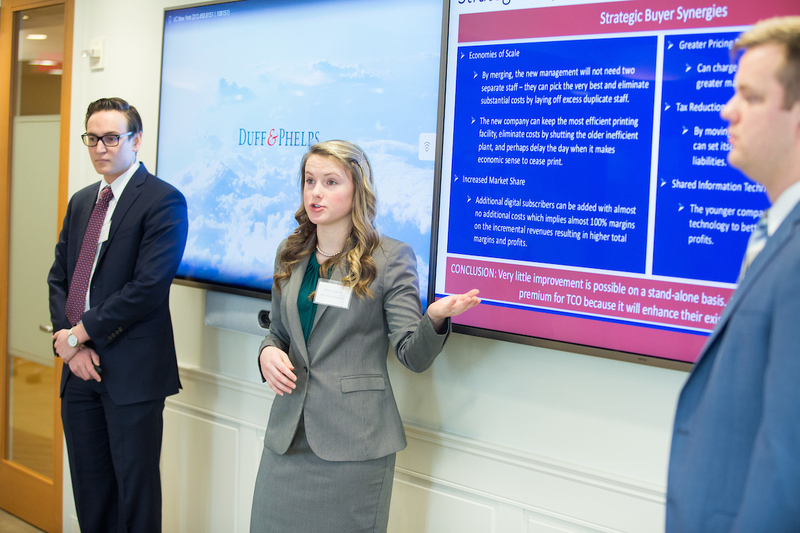 Each team presented their solution to Duff & Phelps professionals and nationally recognized faculty members from some of the top universities in the United States. In the end, the Brigham Young University Marriott School of Business team prevailed and were crowned the victors! 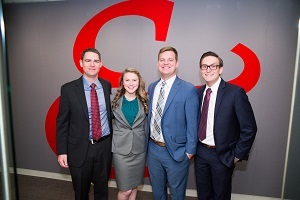 Tyler Hardy, Kyle Nordhagen and Jessica Landro came together after hearing about the YOUniversity Deal Challenge through a weekly email update from their accounting program’s career adviser. They jumped at the opportunity to apply what they learned to compete in the national case competition and immediately got to work. This year’s challenge involved a newspaper publisher looking to be purchased by a multiple media organization. Perform an analysis and forecast the outcomes of the stand-alone fair market value of a newspaper publisher. Recommend two potential buyers with an in-depth rationale. Create a methodology that describes how you would calculate damages based on the allegations against 2 social media companies for loss of subscription revenue to the publisher. Once the case study was released, the Brigham Young University team met two days a week, dividing and conquering the three deliverables. 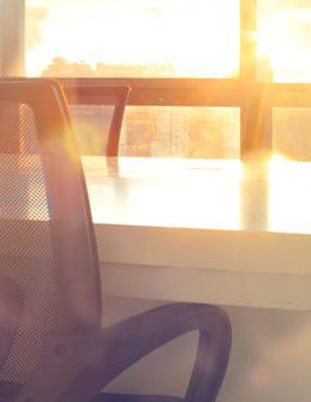 When it came time to conduct industry research, they put in the hours to ensure they had all the pieces they needed to conduct a thorough analysis. They also leveraged the knowledge of their faculty adviser, showing him a rough cut of the presentation and making changes based on his critiques. Upon finding out that they made it to the finals, they dug into every aspect of the project, from the aesthetics to the language, to ensure they’d deliver a flawless presentation in New York. Although slightly intimidated and a little nervous, the team was confident in their calculations and blew away the competition. Brigham Young University's team received $15,000 in scholarship money, and though winning the competition made the experience worthwhile, they also took with them invaluable lessons that they’ll keep as they pursue their careers. Kyle Nordhagen, Jessica Landro and Tyler Hardy of Brigham Young University presenting at the 2018 event. 2018 participants from Auburn University, University of Illinois and Brigham Young University. 2018 Duff and Phelps YOUniversity Deal Challenge judge - Joe Hahn (University of Texas). 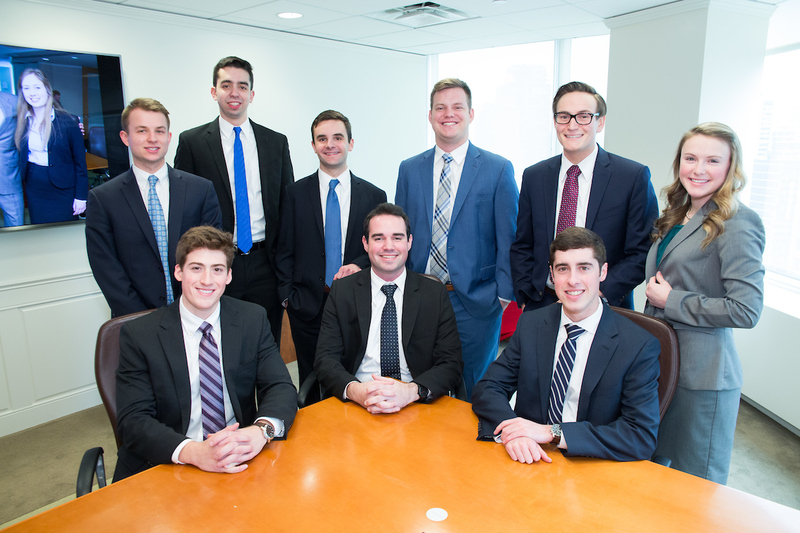 Duff & Phelps is honored to be able to give students from around the world the chance to show off their skills in a competition resembling real challenges that finance professionals often face in their careers. If you’re mapping out your career in finance, the Duff & Phelps YOUniversity Deal Challenge is a rewarding and rare opportunity that can’t be missed. Ready to compete? For more information about next year’s challenge please contact YOUniversity@duffandphelps.com.